We had concerns about cracking foundation in our back garage and driveway. 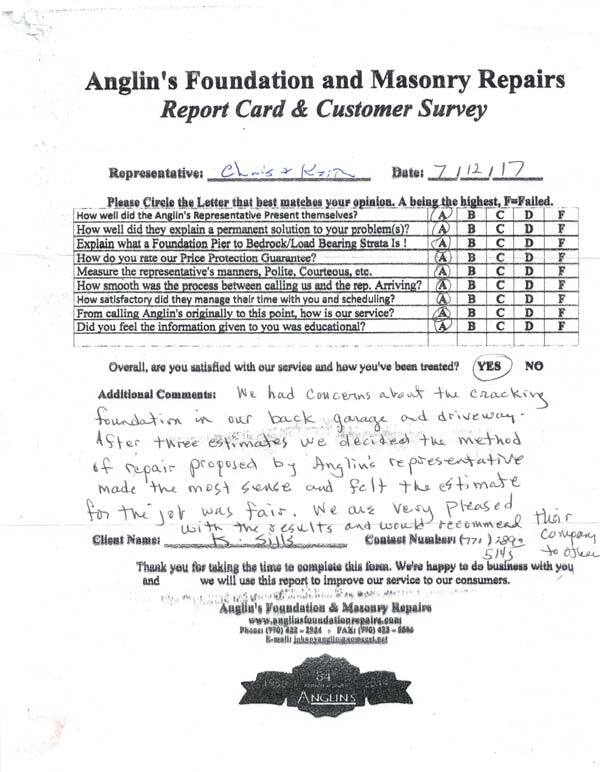 After three estimates we decided the method of repair proposed by Anglin’s representative made the most sense and felt the estimate for this job was fair. We are very pleased with results and would recommend their company to others.